What inspires me: I feel inspired by actions that reflect care for the connectedness of all life on this planet. We are all one – what I do to you, I do to myself and my loved ones. Motto: I want to live simply so others may simply live – Mother Teresa (I think). On December 31 2014 Jo Nemeth spent her last few dollars. A couple of dollars went on New Year’s Eve snacks and she tossed the rest into a donation tin. She knew the next day she’d wake up for the start of an experiment with cash-free living. Jo was sick of consumerism, guilty at the impact her western life had on the precious planet. If she didn’t spend, she figured, she’d drastically reduce her environmental footprint. Since that day more than two years ago Jo hasn’t directly spent another cent. 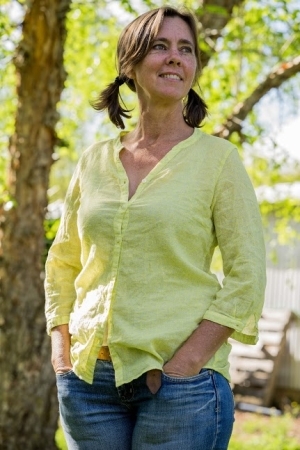 She has lived simply, dining from her garden or with friends and, in the process, not only slashed her environmental footprint but discovered the richness in slow living and the beauty that emerges in relationships based on both giving and receiving. She discovered the richness in slow living. Rewind a few months before the start of her experiment and Jo was laying sick in bed on her birthday flicking through the pages of a book her parents had gifted her – Changing Gears, which documented the journeys of those who’d opted to downsize. Taken by the idea of leading a simplified life, Jo pondered how she could do so. She had a good job as a community development officer but she was constantly stressed. She already regarded herself as a bit of a hippy, but even so, she felt stuck on the treadmill of busyness and consumerism. What if, Jo pondered, she simply stopped buying stuff? By going without she’d reduce her impact to near nothing. Back at work and well again, Jo couldn’t shake the idea. Could she really do it? What would people think? She didn’t want to be a bludger. But imagine showing people that it really could be done. Maybe it would encourage others to reduce the environmental impact of their consumerism. Jo determined to conduct the experiment. First she ensured her then 17-year-old daughter was comfortably set up, as she had already planned to move out of home. Then she resigned from her job. Next she gave away her possessions. While she didn’t have much, she relished the freedom of getting rid of ‘stuff’. 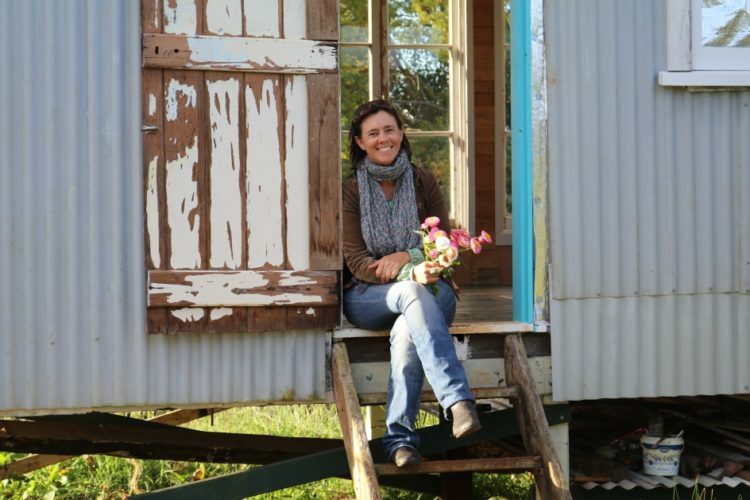 Jo asked some friends if she could build a shack on their northern New South Wales property and reside there for a year in return for helping around the property and looking after their three boys as needed. They loved the idea of the experiment. 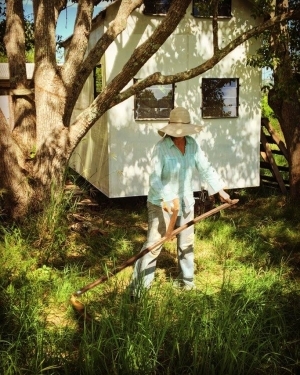 So, on January 1 2015, Jo moved into a tent on the 60-hectare property while she set to work building a shack. Perched on ridge overlooking rolling farmland, grazing sheep and cows, the site felt perfect. Finally ensconced in the cabin, Jo settled into her cashless lifestyle. She passed the days gardening, eating, reading and helping around the property. She grew her own food, ate fresh eggs, drank from the rainwater tank and used serviettes friends saved from restaurants as toilet paper. Physically her body started to change as the exercise and fresh food made her leaner, fitter and stronger. But mentally she noticed she was replacing her past worries about work and bills with new ones. “I had been living in that stressful making-a-living world and it was interesting to see how I tried to replicate that stress in other ways – feeling obligation towards the family [where I was staying], negative self-talk, and guilt,” Jo says. Because she had the time, she really listened. As the year at the farm drew to an end, Jo contemplated what she’d do next. She wanted to continue the lifestyle but the shack arrangement had been for a year and she didn’t want to overstay her welcome. She drifted between various housesitting jobs before moving to somewhere more permanent. Today, as Jo continued her cashless living lifestyle indefinitely, she plans to move from her bereaving friend’s house as soon as the friend is ready to live alone again. She’ll move into a wagon on another friend’s property, who is also interested in doing his part in the low-impact living experiment. 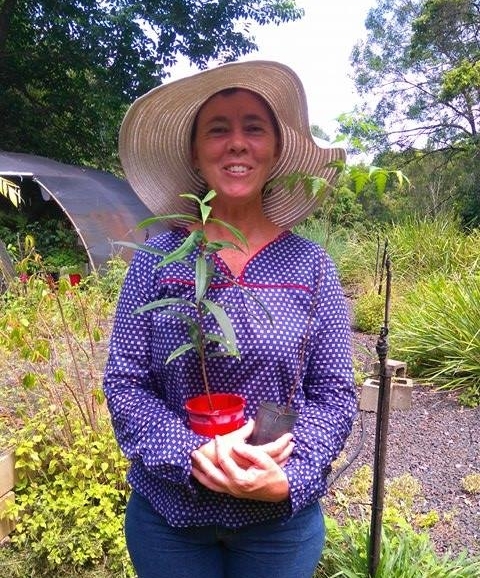 Read about Jo’s low impact lifestyle, and the effects it has on her life, on her blog https://jolowimpact.wordpress.com/. Jo is also on Twitter, Instagram and Facebook as Jo LowImpact.